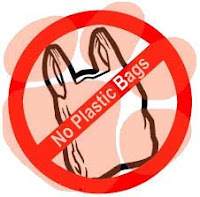 The City Of Clemson … land of the not so free to roam tigers … where traffic cameras watch your every move and where police can rifle through your cellphone without a warrant is proposing a ban on plastic grocery bags. Everything from restaurant takeout to thrift store purchases would be affected. A well intentioned environmentalist never considers the bags reuse or the fact that they can be recycled. In the study below, it's posited that reusable bags that are used for groceries do more harm than good. Customers don’t wash them after usage with meats and vegetables and are prone to carry food-borne illnesses.